See below the new Media Release published by the AAO. This new timelapse video has been also used for StargazingBBC and StargazingABC on March and April 2017. One of the most powerful instruments at the Anglo-Australian Telescope (Siding Spring Observatory, NSW) is the Sydney-AAO Multi-object Integral-field unit (SAMI). SAMI provides 13 fibred based IFUs called “hexabundles” that can “dissect” astronomical objects using spectroscopy. This instrument is used by the SAMI Galaxy Survey, that aims to “dissect” 3000 galaxies in different environments to help astronomers understand galaxy evolution and the tight relationship between gas and stars in galaxies. Documentary Space is just totally big and amazing prepared by A-star after their visit to the telescopes at Siding Spring Observatory. Credit: A-star. As it happened while I was supporting astronomical observations at the Anglo-Australian Telescope (AAT), I was interviewed as part of the video. Although I talked about some few things (my research, my job at the AAO and my times as a young amateur astronomer in Spain), they only used my comments about astrophotography. Indeed, they asked me to include some scenes of my astronomical time-lapses on the documentary, and I think the result is great. I really love to see my astro photos and videos so well used. Thanks Ryan and Harry for this report! 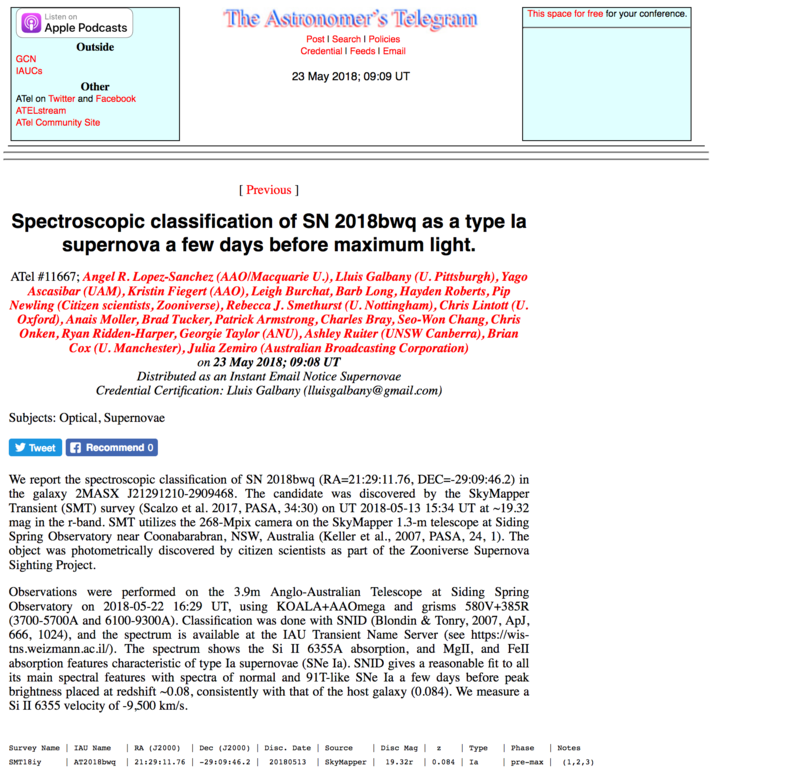 Post originally published on 17th March 2015 in the International Year of Astronomy 2015 (IYL15) blog with the title Light and Astrophysics. The Spanish version of this article was published in Naukas.com. 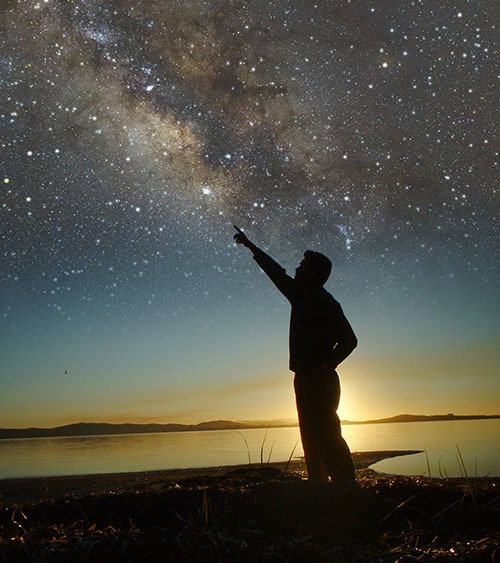 Unlike the rest of sciences, Astrophysics is not based on carefully experiments designed in a laboratory but in the direct observation of the Universe. Astrophysicists get their data via the analysis of the light we receive from the Cosmos. For achieving this we use extremely sensitive instruments that collect the light emitted by planets, stars, nebulae and galaxies. Certainly, there are some alternative ways to study the Universe besides using the light, as analyzing meteorites or moon rocks, detecting energetic particles such as cosmic rays and neutrinos, or perhaps even using gravitational waves if they actually exist. But the main tool astrophysicists have today to investigate the Cosmos is the study of the radiation we receive from the outer space. Light is the key piece of the Astrophysics we make today. As the aim is to observe the very faint light coming from objects located even billions of light years away, astronomical observatories are built in relatively isolated places, which are typically located high over the sea level. To observe the Universe, we astrophysicists need dark skies that are not affected by the nasty light pollution created by our society. The inadequate use of the artificial light emitted by streetlight of the cities induces an increasing of the brightness of the night sky. This happens as a consequence of the reflection and diffusion of the artificial light in the gases and particles of dust of the atmosphere. Besides the huge economic waste that it means, light pollution also has a very negative impact on the ecosystem, increases the amount of greenhouse gases in the atmosphere, and drastically diminishes the visibility of the celestial bodies. Unfortunately the light pollution is the reason that a large part of the mankind cannot enjoy a dark starry sky. How is the firmament when we observe it from a dark place? This time-lapse video shows as an example the sky over Siding Spring Observatory (Australia), where the Anglo-Australian Telescope (AAT), managed by the Australian Astronomical Observatory (AAO) and where I work, is located. 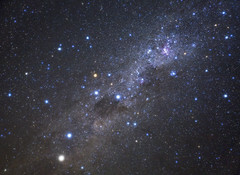 The darkness of the sky in this observatory allows us to clearly see with our own eyes the Milky Way (the diffuse band of stars that crosses the sky) and many other celestial bodies such as the Magellanic Clouds, the Orion and Carina nebulae, or the Pleiades and Hyades star clusters. 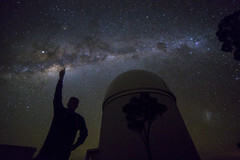 Movie: Time-lapse video “The Sky over the Siding Spring Observatory”. More information about this video in this post in the blog. Credit: Ángel R. López-Sánchez (AAO/MQ). On the other hand, after traveling during hundreds, millions, or billions of years throughout the deep space, the information codified in the light that reaches us is disrupted by the atmosphere of the Earth in the last millionth of a second of its trip. Hence professional telescopes are built on the top of the mountains, where the atmosphere is more stable than a sea level. Even though, many times this is not enough: our atmosphere distorts the light coming from space and prevents the identification of objects located very close in the sky. New techniques have been developed for compensating the effect of the atmosphere in the quality of the light we receive from the Cosmos. In particular, the adaptive optics technique induces in real time slight modifications to the shape of the primary mirror of the telescope, and therefore they counteract the distortion created by the atmosphere. In any case, astrophysicists need to direct the light received by the telescope to a detector, which transforms light energy into electric energy. This has been the purpose of the CCD (Charge-Couple Device) chips, firstly used by astronomers, and later popularized in smartphones and digital cameras. Very sophisticated optical systems are built to direct the light from the telescope to the detectors. Some of the systems created to manipulate our collection and processing of light are based on optical fibres. This new technology has created the branch of Astrophotonic. Indeed, the AAO, together with the University of Sydney and Macquarie University (Australia), are pioneers in the field of Astrophotonic. 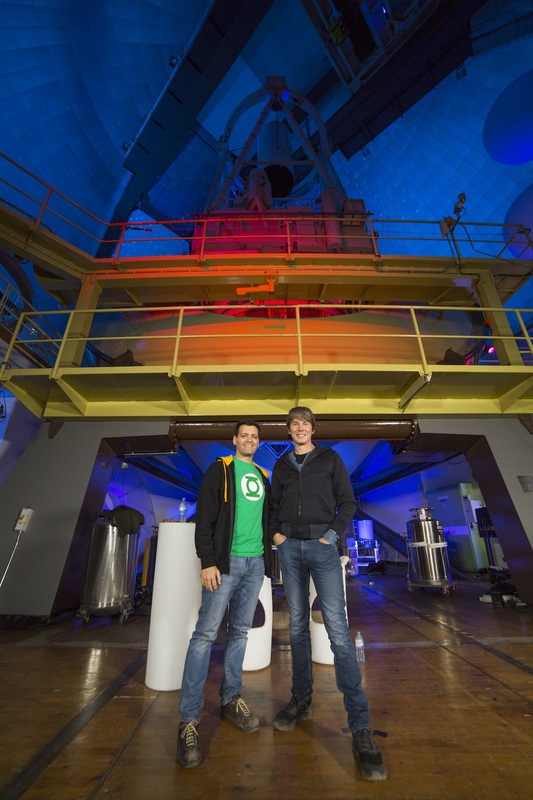 The next video shows how the light from the Cosmos is studied at the AAT. 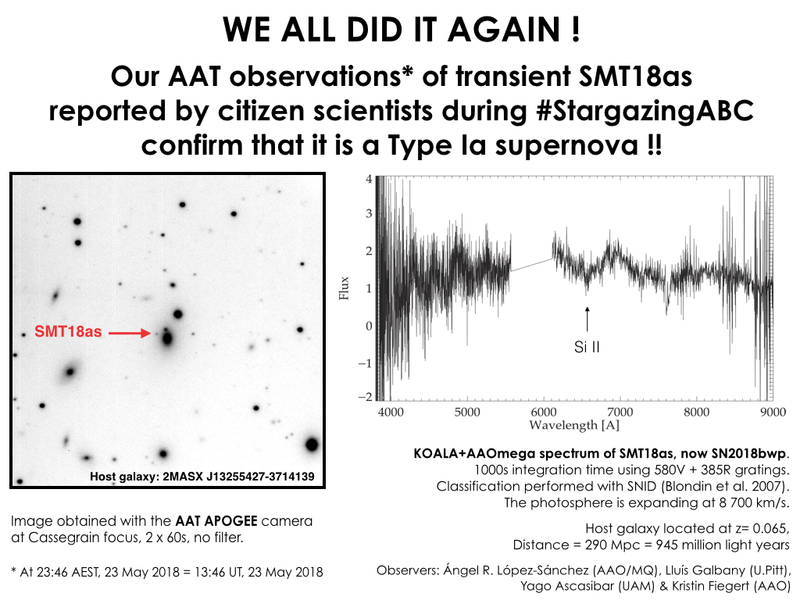 First it is collected using the primary mirror of the telescope, which has a diameter of 4 meters, and then it is sent using optical fibres to a dark room where the AAOmega spectrograph is located. This spectrograph, which is a series of special optics, separates the light into its rainbow spectrum, in a similar way a prism separates white light into a rainbow. The separated light is later focussed onto the CCD detector. Movie: Rainbow Fingerprints, showing how the light of distant galaxies in collected by the Anglo-Australian Telescope and directed to the AAOmega spectrograph using optical fibres. More information: at the AAO webpages. Credit: Australian Astronomical Observatory (AAO), Movie produced by Amanda Bauer (AAO). Specifically, this video shows how astrophysicists analyse the light coming from distant galaxies to understand their nature and properties. 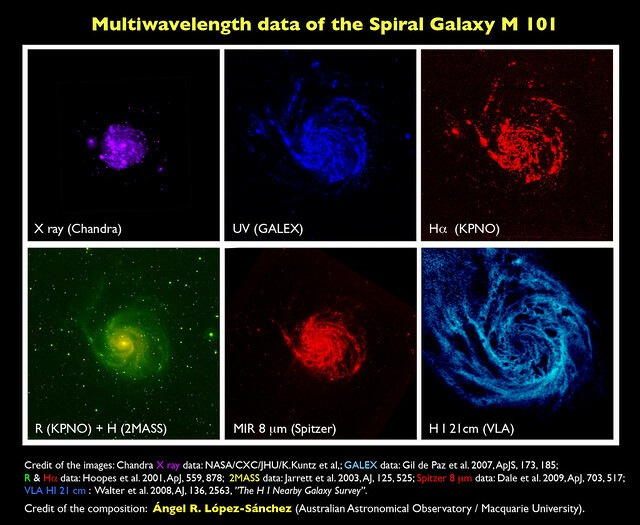 In particular, the video reveals the final science quality spectra for two different types of galaxies, one spiral (top panel) and one elliptical (bottom panel), using actual data obtained with the AAT and the AAOmega spectrograph. The information codified in the rainbow fingerprint identifies each galaxy unambiguously: distance, star formation history, chemical composition, age, physical properties as the temperature or the density of the diffuse gas, and many more. All this information has been captured within a single ray of light that has travelled hundred of millions of years to reach us. Similarly, the properties of stars (luminosity, mass, temperature, chemical composition, kinematics, …), nebulae, and any other celestial body (planets, comets, asteroids, quasars, …) are analyzed through its light. And studying tiny changes in the amount of light we receive from nearby stars we are now finding thousands of exoplanets in the Milky Way. The “rainbow fingerprints” video shown before includes only the observations of two galaxies, but actually the AAT is able to observe around 350 objects at the same time. This is achieved using the 2dF robot, which can configure 400 optical fibres within a circular field of view with a diameter of 4 full moons. The majority of the optical fibres are allocated to observe galaxies (or stars), but some few optical fibres are used to get an accurate guiding of the telescope or to obtain important calibration data. With this technology the AAT is a survey machine, and indeed it is a pioneer of galaxy surveys. Around 1/3 of all the galaxy distances known today have been obtained using the AAT. The most recent galaxy survey completed at the AAT is the “Galaxy And Mass Assembly” (GAMA) survey, that has collected the light of more than 300 thousand galaxies located in some particular areas of the sky. The next movie shows the 3D distribution of galaxies in one of the sky areas observed by GAMA. This simulated fly through shows the real positions and images of the galaxies that have been mapped by GAMA. Distances are to scale, but the galaxy images have been enlarged for a viewing pleasure. Movie: “Fly through of the GAMA Galaxy Catalogue”, showing a detailed map of the Universe where galaxies are in 3D. More information in the Vimeo webpage of the video. 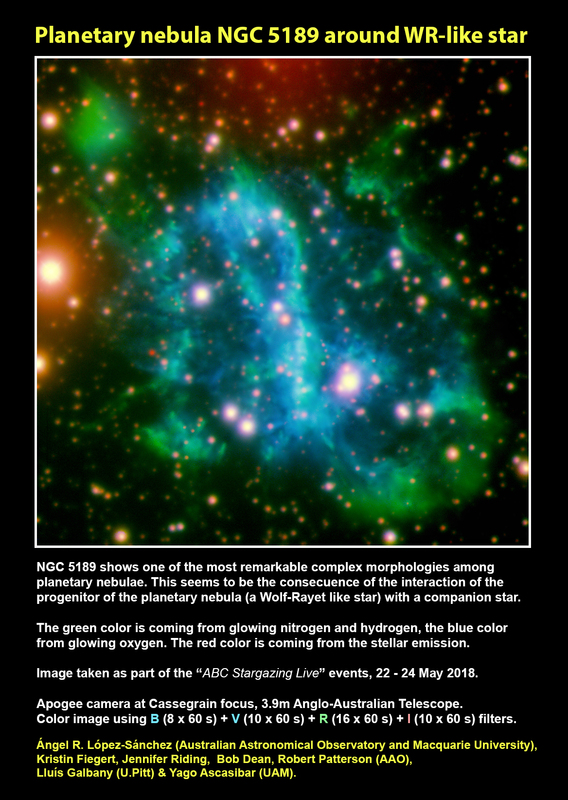 Crédito: Made by Will Parr, Dr. Mark Swinbank and Dr. Peder Norberg (Durham University) using data from the SDSS (Sloan Digital Sky Survey) and the GAMA (Galaxy And Mass Assembly) surveys. However, to really understand what happens in the Universe, astrophysicists use not only the light that our eyes can see (the optical range) but all the other “lights” that make up the electromagnetic spectrum, from the very energetic gamma rays to the radio waves. The light codified in the radio waves is studied using radiotelescopes, many of them located in the surface of the Earth. The study of the light in radio frequencies allows us to detect the diffuse, cold gas existing in and around galaxies, the coldest regions of the interstellar medium and where the stars are formed, and energetic phenomena associated to galaxy nuclei hosting an active super-massive black hole in its centre. Many technological achievements, including the invention of the Wi-Fi, come from Radioastronomy. The study of the infrared, ultraviolet, X ray and gamma ray lights must be done using space telescopes, as the atmosphere of the Earth completely blocks these kinds of radiation. As an example, the next image shows how the nearby spiral galaxy M 101 is seen when we use all the lights of the electromagnetic spectrum. Light in X rays traces the most violent phenomena in the galaxy, which are regions associated to supernova remnants and black holes. The ultraviolet (UV) light marks where the youngest stars (those born less than 100 million years ago) are located. Optical (R band) and near-infrared (H band) lights indicate where the sun-like and the old stars are found. The emission coming from ionized hydrogen (H-alpha) reveals the star-forming regions, that is, the nebulae, in M 101. Mid-infrared (MIR) light comes from the thermal emission of the dust, which has been heated up by the young stars. Finally, the image in radio light (neutral atomic hydrogen, HI, at 21 cm) maps the diffuse, cold, gas in the galaxy. Imagen: Mosaic showing six different views of the galaxy M 101, each one using a different wavelength. 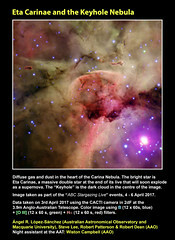 Images credit: X ray data (Chandra): NASA/CXC/JHU/K.Kuntz et al,; UV data(GALEX): Gil de Paz et al. 2007, ApJS, 173, 185; R and Hα data (KPNO): Hoopes et al. 2001, ApJ, 559, 878; Near-Infrared data (2MASS): Jarrett et al. 2003, AJ, 125, 525, 8 microns data (Spitzer): Dale et al. 2009, ApJ, 703, 517; 21cm HI data (VLA): Walter et al. 2008, AJ, 136, 2563, ”The H I Nearby Galaxy Survey”. Credit of the composition: Ángel R. López-Sánchez (AAO/MQ). In any case, today Astrophysics does not only use observations of the light we collect from the Cosmos, but also includes a prominent theoretical framework. “Experiments” in Astrophysics are somewhat performed using computer simulations, where the laws of Physics, together with some initial conditions, are taken into account. When the computer runs, the simulated system evolves and from there general or particular trends are obtained. These predictions must be later compared with the real data obtained using telescopes. Just to name some few cases, stellar interiors, supernova explosions, and galaxy evolution are modeled through careful and sometimes expensive computer simulations. As an example, the next movie shows a cosmological simulation that follows the development of a spiral galaxy similar to the Milky Way from shortly after the Big Bang to the present time. This computer simulation, that required about 1 million CPU hours to be completed, assumes that the Universe is dominated by dark energy and dark matter. The simulation distinguishes old stars (red colour), young stars (blue colour) and the diffuse gas available to form new stars (pale blue), which is the gas we observe using radiotelescopes. This kind of cosmological simulations are later compared with observations obtained using professional telescopes to progress in our understanding of the Cosmos. Movie: Computer simulation showing the evolution of a spiral galaxy over about 13.5 billion years, from shortly after the Big Bang to the present time. Colors indicate old stars (red), young stars (white and bright blue) and the distribution of gas density (pale blue); the view is 300,000 light-years across. The simulation ran on the Pleiades supercomputer at NASA’s Ames Research Center in Moffett Field, Calif., and required about 1 million CPU hours. It assumes a universe dominated by dark energy and dark matter. More information about this animation in this NASA website. Credit: F. Governato and T. Quinn (Univ. of Washington), A. Brooks (Univ. of Wisconsin, Madison), and J. Wadsley (McMaster Univ.). In summary, thanks to the analysis of the light we know where stars, galaxies, and all the other celestial bodies are, what are they made of, how do the move, and more. Actually, much of the research that we astrophysicists do today combines observing and analyzing light coming from very different spectral ranges, X rays, ultraviolet, optical, infrared and radio waves. In many cases, we are using techniques that have been known for only few decades and that are still waiting to be fully exploited. The detailed study of the light coming from the Cosmos will provide new important astronomical discoveries in the nearby future and, at the same time, will impulse new technologies; many of them will be applied in medicine and communications. The light techniques we are developing for Astrophysics will have a direct application to our everyday life and will improve the welfare state of our society, besides deepens the understanding of the vast Universe we all live in. Have you ever wondered how telescopes collect the light of the stars to be later analyzed by the astronomers? This new AAO video, entitled Rainbow Fingerprints shows how this is done at the Anglo-Australian Telescope (AAT). 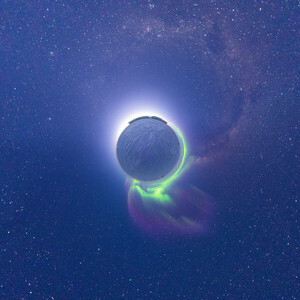 The video was produced by AAO Astronomer and Outreach Officer Amanda Bauer, and I have collaborated providing not only the sequences of the AAT outside and inside the dome (which were extracted from my timelapse A 2dF night at the AAT) but also providing comments during the production process. Video “Rainbow Fingerprints” showing how the light of distant galaxies in collected by the Anglo-Australian Telescope and directed to the AAOmega spectrograph using optical fibres. More information in the AAO webpage Rainbow Fingerprints. Credit: AAO, movie produced by Amanda Bauer (AAO). 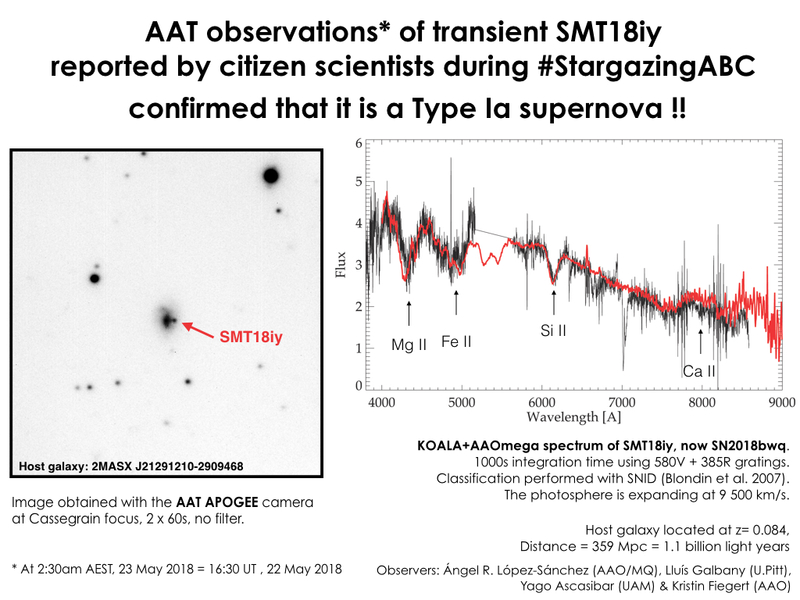 The light coming from distant galaxies is first collected using the primary mirror of the telescope, which has a diameter of 4 meters, and then it is sent using optical fibres (the 2dF system) to a dark room where the AAOmega spectrograph is located. This spectrograph, which is a series of special optics, separates the light into its rainbow spectrum, in a similar way a prism separates white light into a rainbow. The separated light is later focussed onto the CCD detector. 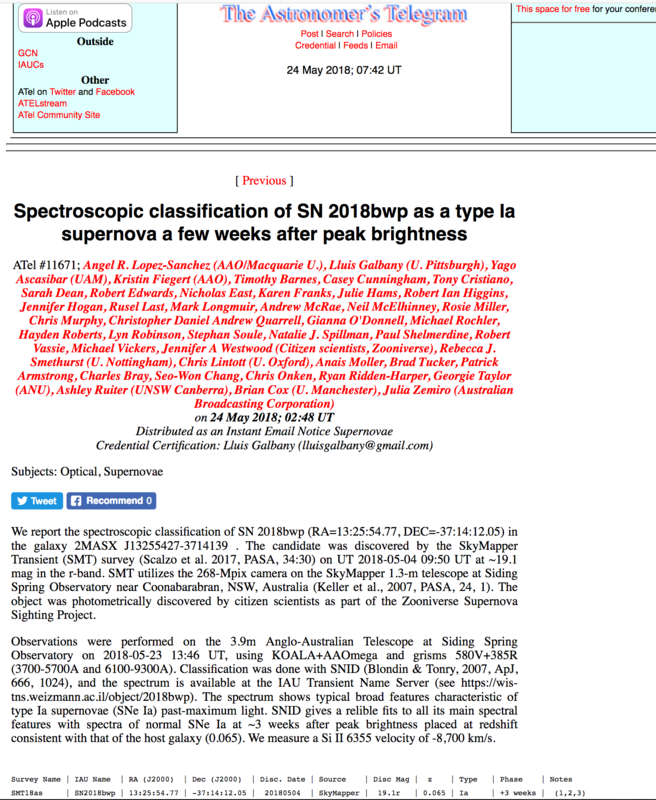 Finally the video reveals the science quality spectra for two different types of galaxies, one spiral (top panel) and one elliptical (bottom panel), using actual data obtained with the AAT and the AAOmega spectrograph. The information codified in the rainbow fingerprint identifies each galaxy unambiguously: distance, star formation history, chemical composition, age, physical properties as the temperature or the density of the diffuse gas, and many more. The star of the show is Head Telescope Operator, Steve Lee, who has worked at the AAT for almost its entire 40 years of operation. Steve guides this video tour of working with the AAT, exploring how observational techniques have changed from the 1970s to today’s digital age, and the AAT’s exciting future pursuing more world-class discoveries. Famous astrophotographer David Malin co-stars the show. Some material taken from my astronomical time-lapses has been also used for this film. 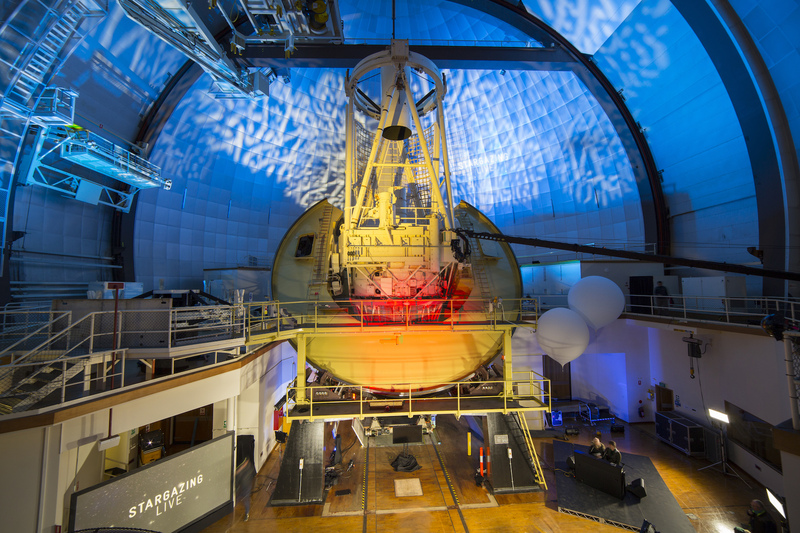 Photo taken at the end of the public event for the “AAT 40th Anniversary Celebration”, Thursday 16th Oct 2014. 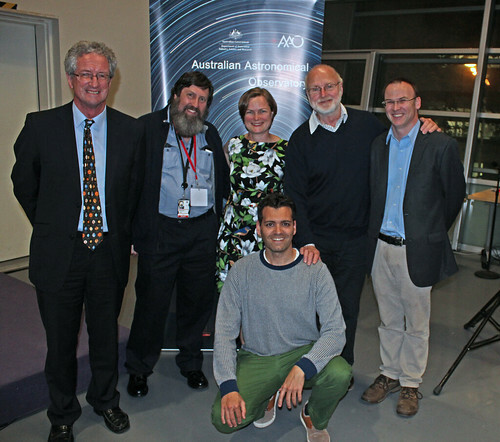 From left to right: Warrick Couch (AAO Director), Steve Lee (Head AAT Operators), Amanda Bauer (AAO Outreach Officer), David Malin (AAO famous astrophotographer) and Andrew Hopkins (Head of AAT Astro Science). Ah, yes, it is also me smiling as a little kid. Credit: Á.R.L.-S.